A bomb threat forced The Roots' South by Southwest event in Austin, Texas to be canceled Saturday. The Austin Police Department says 26-year-old Trevor Ingram emailed in a bomb threat. He was later arrested on charges of terroristic threat. The event was called "Bud Light x The Roots & Friends Jam." Bud Light tweeted, "Due to a security concern we have made the hard decision to cancel tonight's event. Your safety and the safety of all fans at SXSW is our most important priority." South by Southwest also took to Twitter to apologize to attendees for the inconvenience. 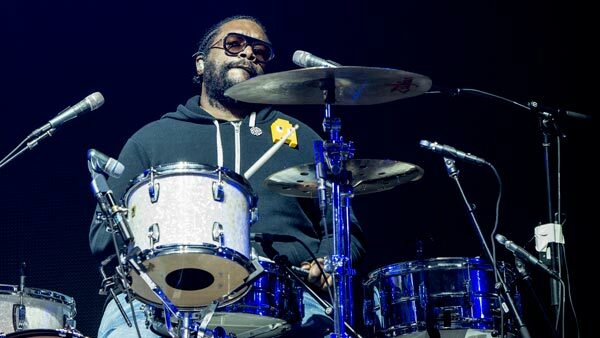 "The Bud Light x The Roots SXSW Jam at Fair Market has been canceled. We apologize for the inconvenience and appreciate your understanding. #SXSW," SXSW tweeted. Questlove, the drummer for the Philadelphia band, also posted his thoughts on social media. "No one is Mr "show must go on" than me. But we can't risk our lives if we are told there was a bomb threat. I'm sure we will return to Austin ladies and gentlemen. Thanks for understanding," he tweeted. Police say there is no broader security concern related to this incident. Last week, Austin police responded to at least 370 calls reporting suspicious packages but found nothing dangerous in the wake of three package bombs that killed two people and wounded two others.